Rugby Football Union chief executive Ian Ritchie says a deal to compensate Premiership clubs for loss of earnings during the 2015 World Cup is close. Elite matches are not allowed in a host country during a World Cup, so clubs fear a loss of revenue during the event in England in September and October. Some officials have threatened to play on unless compensated by the RFU. "It's been a good, constructive set of discussions," Ritchie told BBC Sport. "I'm hopeful we'll resolve it soon." Although the 2015-16 Premiership season will suffer initial disruptions, Ritchie expects the domestic fixtures to commence when the World Cup reaches its knockout stages in mid-October, and says the RFU will approach the International Rugby Board (IRB) to arrange this. "Once we get past the pool stages, historically there has been elite rugby during those knockout stages," he said. "We have got to go through due process, but we are hopeful we will get some resolution on that, then we can move on and collectively recognise what a fantastic opportunity Rugby World Cup is going to be." The RFU and Premiership Rugby worked closely earlier this year on plans for a new European Cup, and Bath owner Bruce Craig told BBC Sport this week that the relationship between the parties is strong. "If the people at the top are reasonable men who are willing to look at what is best for English rugby - rather than what is best for individuals - that can only be good for English rugby," said Craig. "And I think that is the place we are in at the moment." The 2015 World Cup will be hosted by England from 18 September to 31 October (although some games are taking place in Wales). 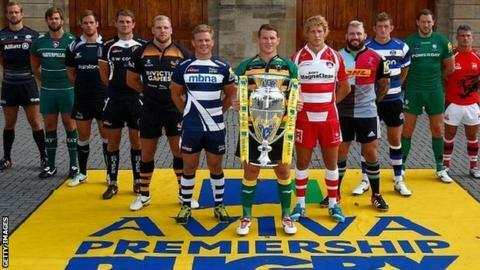 This year's Premiership begins on 5 September. Can players avoid World Cup burnout? Read more on How do players avoid burnout before the Rugby World Cup?